I’m excited to announce that I’m a part of a Storybundle, curated by NY Times best-selling author Terah Edun, featuring an AMAZING group of authors. What’s a Storybundle you might ask? Well, it’s just what it sounds like—for the low price of “pay what you want” (minimum $5) you get a whole collection of books that span a broad range of speculative fiction, each with one thing tying them together—they are stories written with black narratives in mind. 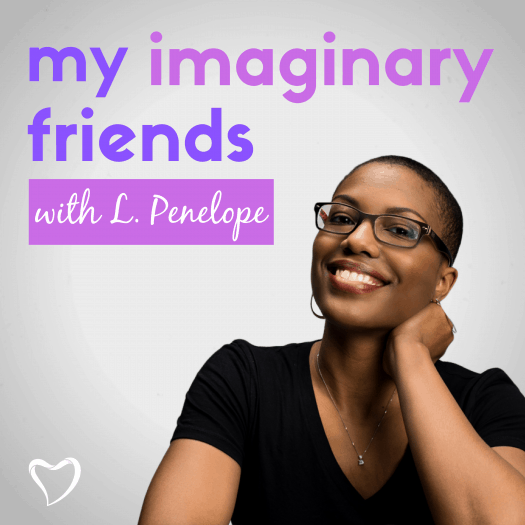 Included in this bundle are authors who have influenced me: Nalo Hopkinson! Steven Barnes! Nnedi Okorafor! 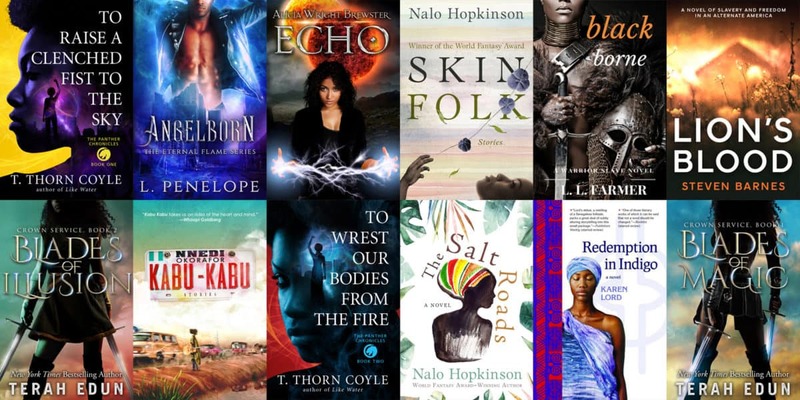 Along with emerging black spec-fic authors writing stories set in assorted time periods and with thematic backgrounds that draw from American, West African, Caribbean, and black cultural heritages around the globe. So if you haven’t read my contribution Angelborn yet (or even if you have) this bundle is not to be missed. I don’t want to go all TV commercial on you, but there’s a lot happening here. Name your price and not only do a portion of the proceeds go to charity, but everyone who purchases the bundle will automatically be entered to win a ticket to a Black Panther showing of their choice on Saturday, March 3rd! 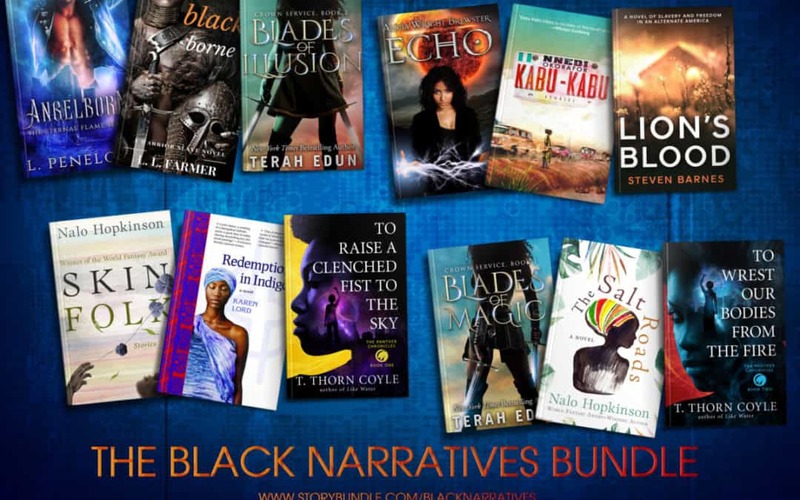 The bundle is only available until March 1, 2018, so head over to https://storybundle.com/blacknarratives now.